Sea glass is so soft, feminine and just plain pretty! 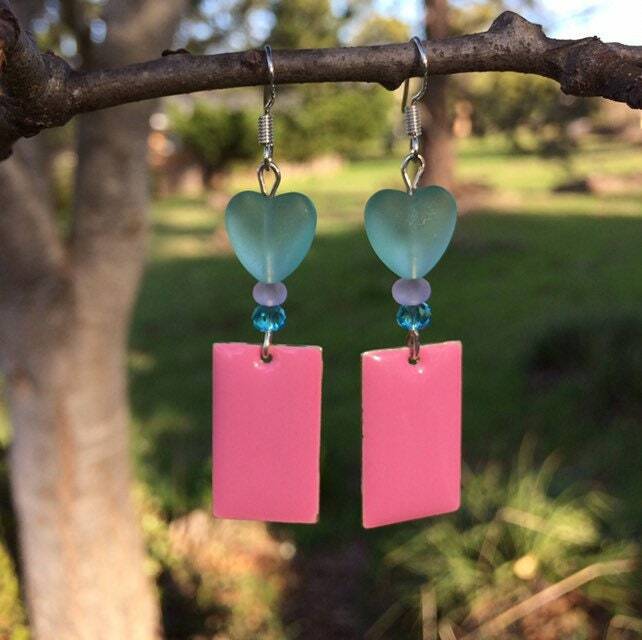 These are a paired beautiful, pink enamel with accent colors and Swarovski for a touch of sparkle. They are 1 3/4” long. These will be wrapped in tissue paper, put in either a drawstring purse bag or a box and mailed First Class in a bubble mailer. Be sure to check out my other Sea Glass Jewelry: I have many different colors, shapes and sizes!